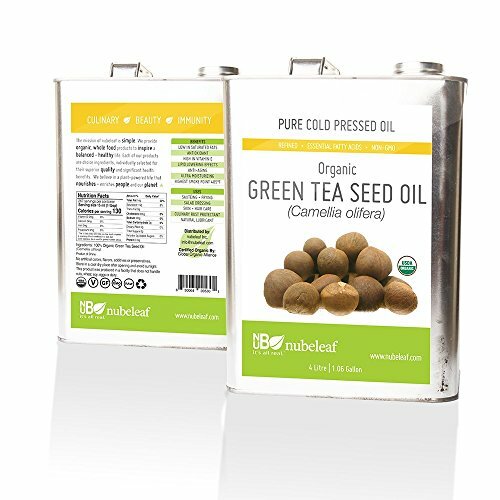 Organic Tea Seed Oil, is an organic plant oil refined from selected, unshelled, cold pressed seeds of the organic green tea plant. Camellia Oleifera Tea seed oil is a pale amber green edible oil with a herbal aroma. Do not confuse with tea TREE oil. This light, greenish colored oil can be used for a vast array of cooking ranging from sautéing seafood, poultry or meat, tossed into pasta, salads or vegetables. Organic Tea Seed Oil is also used in cosmetic applications for skin care as well. It is an excellent moisturizer containing vitamin A, B, and E. It is easily absorbed by the skin, for which it can help alleviate dry skin problems. Benefit from high monosaturates, omega 3,6 and 9, polyphenols, low saturated fat and no trans fats. Economical shelf life of approx 24 months when stored in a cool dry place away from direct sunlight. If you have any questions about this product by Green Source Organics, contact us by completing and submitting the form below. If you are looking for a specif part number, please include it with your message.